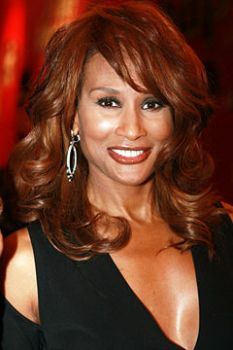 Beverly Johnson is a model, actress, singer, and businesswoman who in 1971 became the first African American woman to appear on the cover of a major magazine. Johnson was born on October 13, 1952, in Buffalo, New York to middle class parents. Her father was a machine operator and her mother was a surgical technician. Ambitious and successful even as a child, she was a competitive swimmer who nearly qualified for the 1968 Olympics in the 100-meter freestyle. She grew up wanting to be an attorney. She attended Northeastern University in Boston, Massachusetts on a full scholarship where she studied criminal justice in preparation for law school. Johnson had never considered modeling until her friends at Northeastern suggested she explore possibilities in the industry. While on summer break in 1971, at the age of 19, Johnson and her mother visited Madison Avenue in New York to interview at various modeling agencies. After she was turned down by a number of prestigious agencies, she was hired on the spot to model for Glamour Magazine. Her initial success with Glamour persuaded Johnson to leave Northeastern to focus on her modeling career. Johnson’s first cover for Glamour in 1971 set records for sales and circulation. She would appear on the cover of Glamour six more times in the next few years. Her appearance on the cover of the fashion magazine broke a number of racial barriers in the modeling world at the time. Developing what modeling critics called the "supergirl next door" image, the 5 foot 8 inch model’s success was richly rewarded. In 1975 at the age of 23 Johnson’s annual income exceeded $100,000. In 1974, Vogue approached Johnson to be on its cover. Johnson readily accepted, becoming the first African American woman on the cover of one of the largest magazines in circulation in the world. Her cover was so popular that Vogue placed her there again in its special June 1975 “American Woman” edition. Johnson’s popularity became global as she became the first African American woman on the cover of Elle, a leading French magazine. Johnson used her modeling success to branch out into film, television, and music. She also started a successful business, the Beverly Johnson Hair Collection, which makes wigs and hair products. Johnson has married and divorced twice, first to Billy Potter, a real estate agent, and later to businessman Danny Simms. She and Simms have one daughter, Anansa. Beverly Johnson, Guide to a Life of Beauty (New York: Times Books, 1981); http://www.notablebiographies.com/newsmakers2/2005-Fo-La/Johnson-Beverly; http://www.mademan.com/chickipedia/beverly-johnson/.